March | 2011 | Get Your Business to Work! Are you really ready to hit your goals, earn more, work less, and live the life you want? It would be crazy to board an airplane without a flight plan or destination. Or try to swim upstream in a rapid rushing river. Or drive a car blindfolded. But this is how most business owners run their companies. They don’t have a specific destination or road map to get where they want to go. They work as hard and as fast as they can trying to make headway against all odds. And they don’t know where they’re going. This causes frustration for the owner, managers, and employees who try to fly faster, make a lot of waves, and go around in circles. You know what you need? You need something to shoot for. You need a goal. Here’s a goal you have been striving to reach for years: Keep doing more! When you keep doing more, you stay busy and never run out of things to do. That’s like being capsized in the middle of the ocean aboard a small rescue dinghy and the captain keeps yelling: ‘Paddle faster!’ Never mind where you’re going. Never mind if you’ll ever reach land. Just paddle faster until you run out of food, water, or energy. And then you’ll die worn out, tired, and broke. Why do you need specific direction? In order to achieve the results you want, you must know where you are going and why. To achieve your targets and goals, you will have to make major changes how you do business and strive to be the best in your market. At FedEx, flawless service is the NORM, not the goal or the exception. Walmart expects NO mistakes from its suppliers! If their suppliers don’t make it easier for Walmart, they go elsewhere! To be the best, you’ll have to improve your company operations, systems, management, administration, employees, estimating, pricing, marketing, sales, and service. Take a hard look at how your company is doing at your sales, profit margin, market share, cash-flow, wealth, and effectiveness. Do you, your managers, or employees specifically know? What numbers are they aiming at? Numbers tell you how well you’re doing. You will need a new set of measurable standards to see if you are improving, on track, and headed towards being the best in your class. 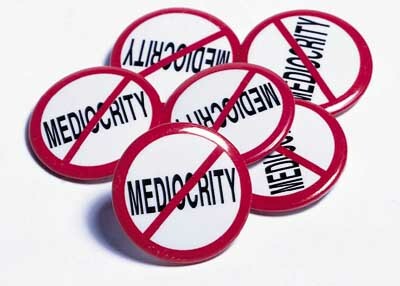 Mediocrity Is Not An Option! Earn More, Work Less, Live Life! Business owners want their companies to deliver the results they want. Do you know what you want? I’ll bet at the top of your ‘want’ list is more money, more freedom, more time off, more wealth, and more fun! You want to build the best company in your marketplace that makes more net profit than your competitors, has excellent managers who run your company, loyal customers who give you most of their work at your price, allows you to build equity, generates passive income, and gives you several months off every year to enjoy your life. But do your everyday actions, activities, and priorities deliver what you want? Probably not. Most continue to do the same destructive things which keep you from ever achieving your dreams and reaching your goals. You continue to hire the wrong people for the wrong reasons and don’t have a training program to allow them to perform at their best levels. You try to save as much money as possible by controlling every purchase, delivery, and installation instead of focusing and investing in marketing, sales, and building customer relationships. You continue to win business by offering the lowest prices instead of providing more value or services than the minimum required to keep your customers somewhat satisfied. You get projects and tasks completed with your constant supervision, micro-managing, and telling managers and employees what to do instead of utilizing written systems and guidelines for your people to follow. You are the business and won’t let go, delegate, or empower people to make decisions without your input or approval. Are you really willing to do what it takes to get your business to work the way you want it to? Or are you stuck, afraid to make a move, unsure what to do, unwilling to try new things, not able to trust your people, and comfortable with mediocrity. Mediocrity is owning a company that makes little or no net profit, competes on price, doesn’t have a unique differentiating factor from their competition, and doesn’t deliver what the business owner wants. Are you satisfied with being mediocre, average, achieving less than your potential, and continuing to struggle to keep it afloat? -Be the industry leader in your marketplace? -Sell more than low price to win customers? -Make lots more money than your competition? -Have the best people run and manage your business? -Be the owner instead of the overworked boss? -Generate lots of passive income from your investments? -Have plenty free time to enjoy family, friends, and fun? I believe the decision is easy. You just have to decide to make it, and move towards it. Do you need help moving your company from mediocre to exceptional? Email me for a FREE 30min phone consultation and let’s see where we can begin making improvements to grow and strengthen your business. 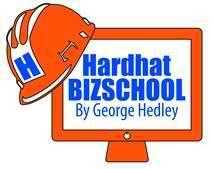 Email me at: gh@hardhatpresentations.com with 30min Coaching Session in the subject line of your email. Talk to 95 out of every 100 small business owners with less than 100 employees and follow their progress for 10 to 20 years. You will hear the same sad story repeated over and over. They work too hard for the effort and risk they take. They don’t make any real money or have enough left over to invest. They can’t stop working or take much time off to do what they want. They can’t find any good help. They sell low prices to get most of their customers and revenue. They’re out of control and spend too much time putting out fires. They wish they could start saving some money and can’t figure out how to make their business better.Only 5% of small business owners will ever become wealthy or financially secure. 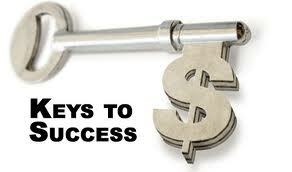 What key are you missing in order to help your business reach it’s full potential?